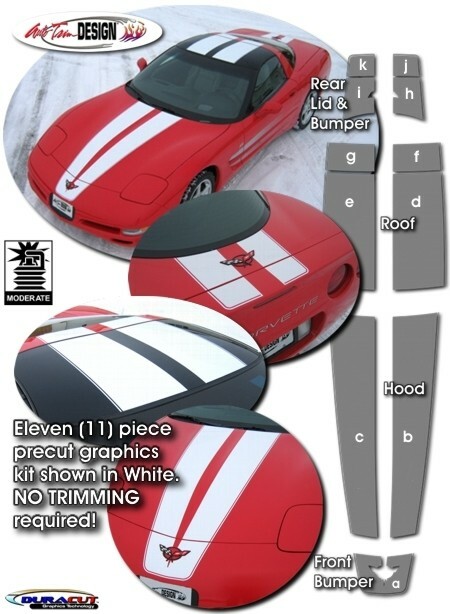 Make your '97-'04 Chevrolet Corvette C5 Convertible "Tough-looking" with this Bumper, Hood and Rear Deck Lid Rally Stripe Graphics kit. Convertible kit comes with nine (9) pieces. They're PRECUT and ready to install here in White - there is NO TRIMMING required!